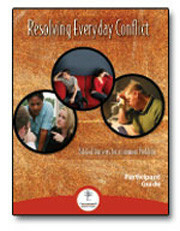 Resolving Everyday Conflict is an eight-week DVD study that is especially suited as a small group Bible study and as an outreach study. It unpacks the amazing things the Bible has to say about conflict and relationships in a fun, non-threatening, and “non-churchy” way. Give the people inside and outside your church the powerful and practical answers they are looking for to forever change how conflict looks in their lives … and teach them about Jesus at the same time. Your core church members and leaders – This small group Bible study is Peacemaker Ministries’ primary tool for helping entire churches learn and apply the basic principles of biblical peacemaking. 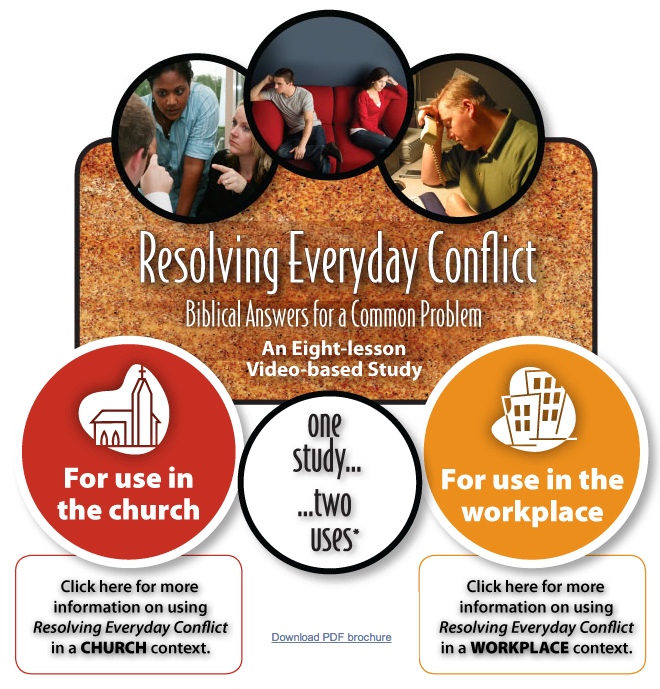 The people who attend your church but haven’t really connected yet – This study is a great way to get them off the fringe and involved in your church by addressing a topic they care about: conflict. The unchurched – They really need a personal encounter with Jesus, but of course, they don’t know that. But they do know they need some help with conflicts … and as long as it’s practical, they’ll give it a try. This small group Bible study has eight sessions, each including a 30-minute teaching video followed by group discussion time.